Did you know that 51% of the world population will attain smartphones by 2018? We are advancing at a rapid phase. 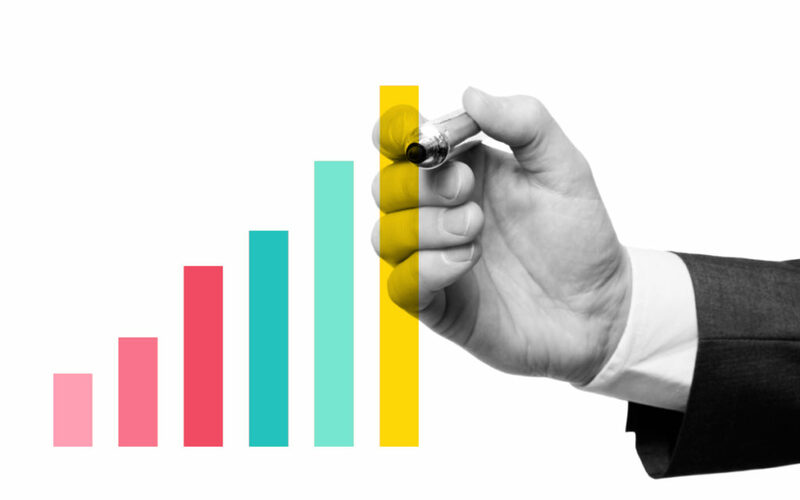 The same is why not staying on top of trending strategies for business growth can easily set your business back and drastically affect your bottom line. According to statistics, online advertising will become the largest medium for marketers by 2018 as it will escalate global spending to 13%! So if you’re looking to stay on top of the trends, take a look at this seven top business trends for 2018 to stay one step ahead of your competitors in the coming new year. 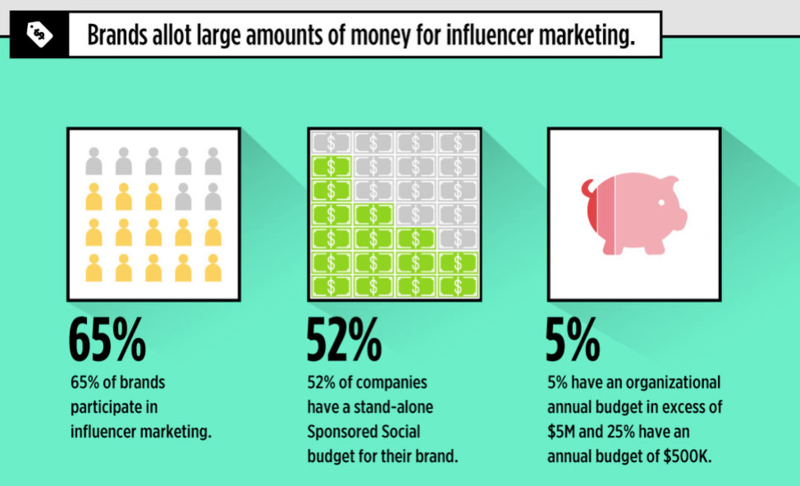 Did you know that 92% people believe an advertisement or information when endorsed by influencers? With more people now than ever tweeting, chatting and sharing their lives online, influencer marketing has become one of the most affordable marketing strategy to grow your business in 2018. Today, bloggers and active social media members with a high following are believed as genuine and accurate by online communities.IM is a clever way of convincing your customers to buy your products using industry experts to vouch for your company and brand. By striking a mutually beneficial deal, you can reach and convert the target audience by using an influencer in your marketing strategy. Scientists believe brands will to create AI Influencers akin to mascots to digitally represent their mission and emerge as key influencer by 2018. GM used influencers such as Guy Kawasaki, Jason Falls, Joseph Jaffe, Robert Scoble and Dom Sagolla to boost the impressions of Chevy Volt. General Motors also created an exclusive website for the creamy-layer of their customer base to target car troubleshooting. Blaze the Trail was a mission created by Redwood Creek Wine to voice sustainable lifestyle intertwined with nature. They offer simplified ways of DIY winemaking to FAQ from prominent winemakers to emerge as a unanimous and authoritative voice as a winemaker. To tap into the social media and create a hype, your influencer campaign must focus on information more than conversions. Create an estimate of the budget. Write an action plan for your goals. Conduct an in-depth research on key influencers in your niche. Go to Google, Facebook or other social media platforms. Type your niche in quotes along with the keyword “blogger” or “influencer” such as, “SEO Blogger” or “Hair Styling Influencer”. In order to reach the target audience as well as the influencer, you must determine where the majority of the audience hangs out such as popular blogs, forums or websites in both your industry and the influencer industry. 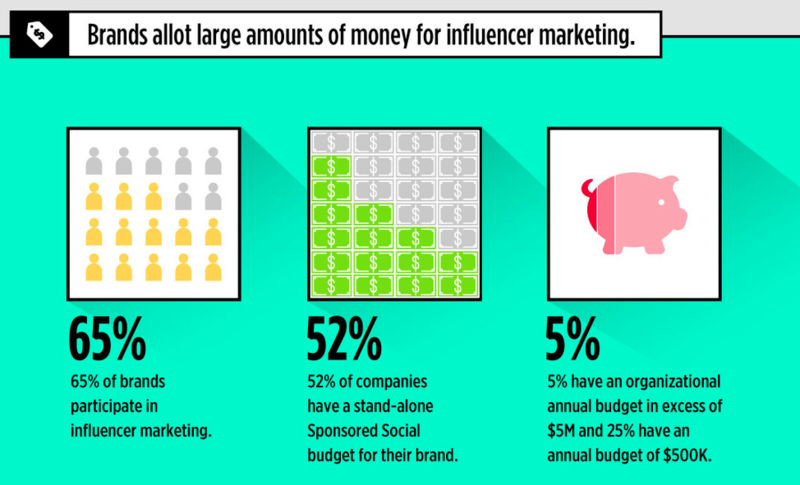 Define the total number of influencers you want to use. Connect informally via social media with the influencer. It is important to review the success or failure of your goals every few months to assess the impact of your campaign. Eliminate the influencers who do not add value to your brand. Revamp the contract of influencers who helped to make online impressions. An advanced technology that lets the customer and vendor know each other’s location, beacon technology when used tactically can make huge impacts for locking your target audience. Akin to a lighthouse, beacon is a tiny radio transmitter often with Bluetooth. It sends out a signal which can be seen or picked up by others in the same vicinity. Beacon does not track the customer but helps to connect with the broadcasted signal. Referred to as proximity technology, small businesses can use the broadcast signal to target the specific needs of customers or their shopping experience or to find items offline. The retail store installed the biggest beacon of the era at its stores in San Francisco and New York with up to 4000 devices throughout the department. With the assistance of Shopkick, Macy’s tracks the movements of customers within the store to recommend personalized products. The music festival app introduced beacon help as early as 2014. Today, if you own an American Express Card and are at Coachella, you can win prizes depending on your location at the festival. Moreover, you can also navigate around the festival with accuracy and planning, using a beacon app. As mobile shoppers will expand up to 30% of global retail by 2018, it is natural for your customers to verify your business and products online before walking into the store. Send out deals and promotional offers depending on where the customer is. Alert the customer with offers based on their past shopping history. Beacon helps you connect with the customer directly as statistics show 84% people use smartphones during shopping. From personalized welcome messages to punctual discounts, a beacon can target your customers with promotional ads too. Ask to link the social media accounts of your customers while they are in the store. Actively seek feedback from customers. As blockchain nullifies the middlemen often seen in centralized transactions such as notaries and brokers, 2018 will see many companies decentralizing their transactional modules. Expected to revamp the business architecture with dimension data in 2018, Blockchain works by decentralizing transactions. It does so by recording the cryptocurrency transactions in a chronological order. Perhaps the most prominent digital currency using blockchain is known as Bitcoin. A smart renting company lets users into blockchain technology using escrow and smart funding. Paid via blockchain contracts, Slock lets the customer and seller approve transactions via their smartphones using a Smart Lock. Employed to reduce overhead costs in international transactions, MasterCard provided transparent ledgers of the transaction to the parties involved in the transactions. Having over 35 patents for the new technology, MasterCard uses cryptocurrency Ethereum for global contracts. As a blockchain is infamous for storing accurate information for every transaction, citing a problem is effortless and quick. Tracking supply has helped vendors such as Walmart to track food movements within 2.2 seconds while it took 7 days sans the blockchain technology. Also referred to as Escrow protection, smart contract lets both parties in a contract carry out transactions automatically minus downtime that disrupts the ongoing contract. The unbendable rules of blockchain override financial regulations. 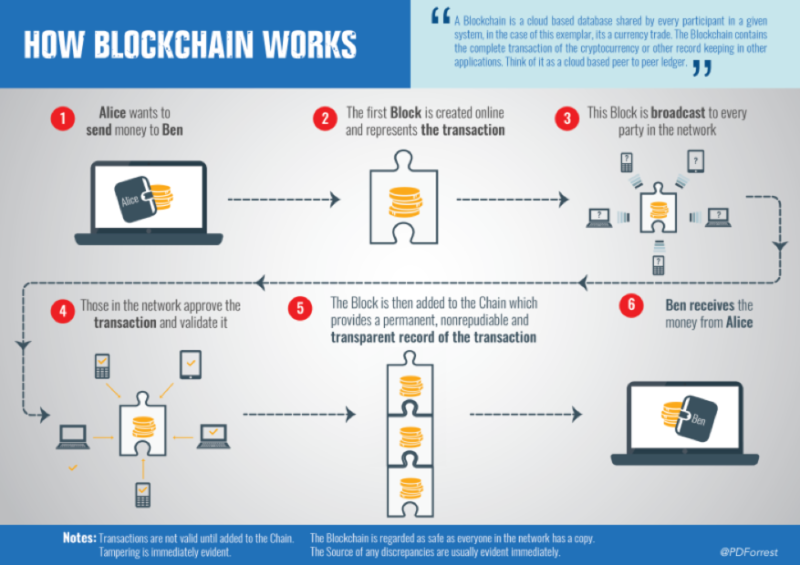 From reducing the total time to cite an error to completing cross-border transactions without a hassle, blockchain can also open you to the advanced cryptocurrency. Bitwage is such a company that uses Bitcoin to roll salaries to employees. The most awaited business evolution in 2018 will be automation of business processes. 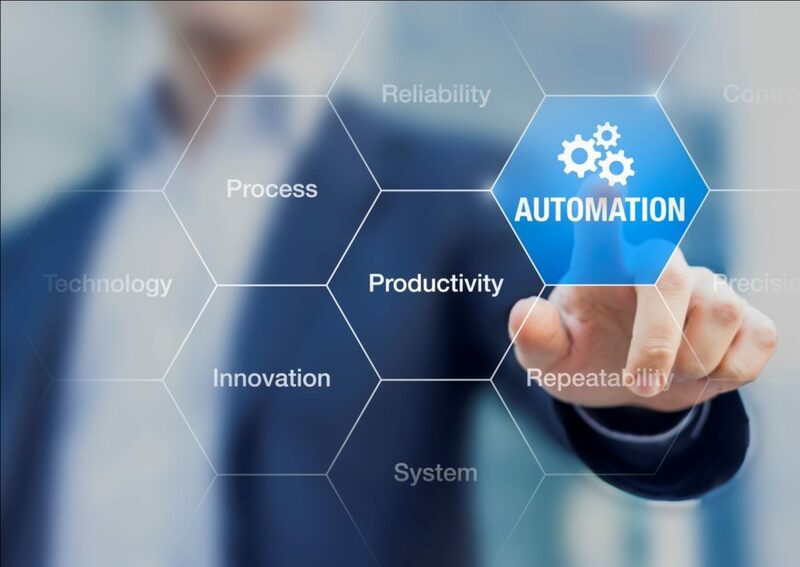 Also referred to as business Automation, BPA or business process automation is a technique of creating an automatic series of actions to run a business. For marketing, automation eases customer data integration to advertising and lead generation while business automation speeds up tasks by bringing down capital costs. The first retail robot of the nation now works as a shopping assistant at Orchard Supply Hardware in San Jose. Lowes’ robots are called oshbots that help customers and managers locate items in the store. One of the most popular websites right now, Buzzfeed has a diverse variety of automated emails according to the user’s choice such as Health, Beauty, Animals, and Entertainment and so on. As automation processes can be used to track leads in addition to generating them, it will help your business grow. When specific software for BPA are used, it helps to filter the research and grow the business quicker than while using manual processes. You can use MailChimp, Aweber or Mad Mimi to send thousands of emails at once to your subscribers. As the same can be scheduled to fit with a routine sans micromanagement, automated email services are a must-have for any e-commerce today. With up to 96% B2B marketers using videos to promote and boost reach and engagement, 2018 is expected to bring video ads to search engines too. Using video or motion picture content to create promotional ads about your product is called video marketing. From answering questions to creating trailers for events and even 3600-view of the products, there are many ways to use video marketing to grow your customers exponentially. All you need to begin live video to engage quick viewers is the social media platform Facebook and a good webcam. With live streaming via Facebook Benefit Cosmetics added over 25000 views to their shows! By providing onboarding videos to proactively use the services, a prominent graphic design service named Canva used tutorial videos. Until then, users shied away from using the design platform, which changed drastically after introducing the video content. Most people find it easy watch a video for speedy comprehension than reading or listening to audio. You can create videos after asking questions on your official business forum with customers or conducting polls to find trending questions. Short videos can be created to provide a demo of your product and how it works in reality. It can show the functionality of the product, benefits and how it should be used for optimum performance. 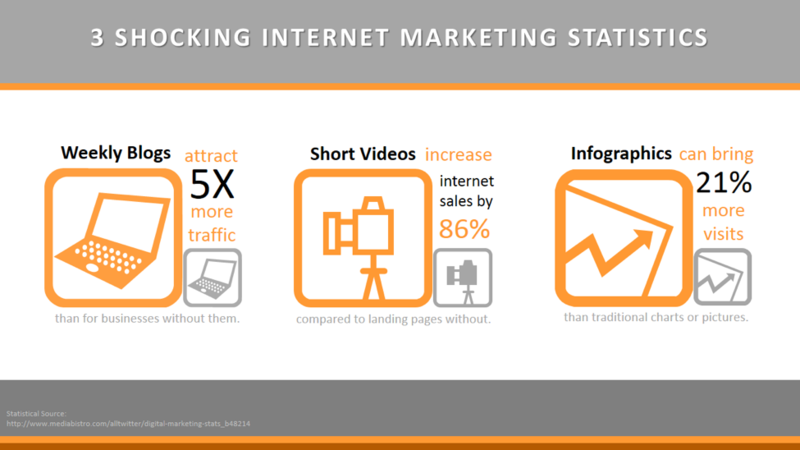 The current trend in video marketing involves featuring your best fans to give a video testimonial as 51% marketers vouch for video as the best tool for ROI. With 65% visual learners, video testimonials boost the emotional engagement with the content. Statistics show that 69% engagement of users with online media occurs via mobile phones. 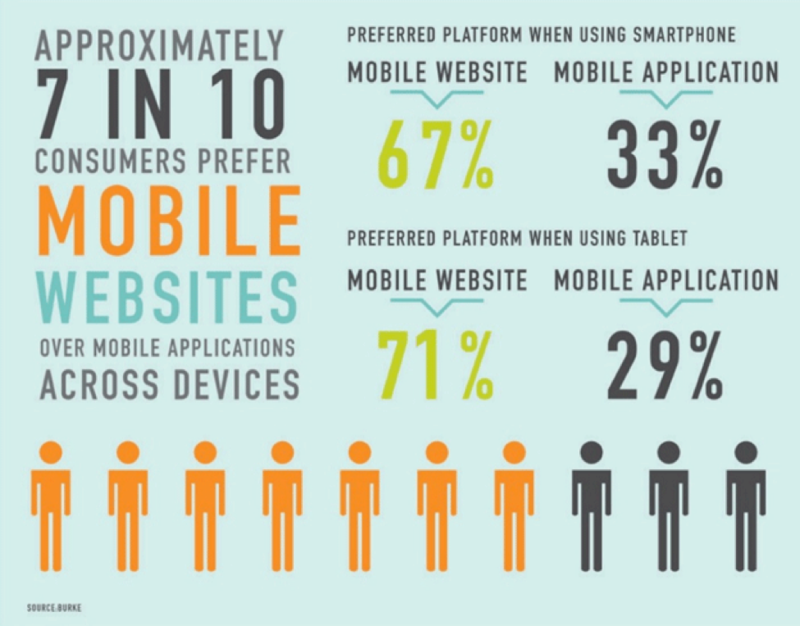 With statistics expected to peak by 2018, it is wise to begin optimizing your website for mobiles right away. Modifying the design, content, font and resolution of your webpage to adapt to mobile screens is known as mobile optimization. You can also use mobile optimization with high-end tools such as WordPress to automatically alter the website content to match with the user’s device. A travel website, Skyscanner optimized their website to mobile and furthermore to the world of apps to receive a huge response from the customers. It grew 12 times more users than the usual rate with 10 times better loyalty and engagement. A Latin American home delivery services for commodities to cash, Rappi engaged 50% more users 2.8 times better results after optimizing the service for mobile users. Using an appealing font style and size that is easily readable on multiple smartphones is the best cue for an RWD. Your loading speed to landing page strategies, many factors come together to create an RWD. With half the traffic online accounting to mobile users it is easier to convert your traffic with mobile optimization. Moreover, Google favors websites with mobile optimization if your page is SEO rich and uniquely valuable. You can also use CRM tools that can automatically modify your page to fit the width and specs of the mobile viewed from. You can also use sales funnel techniques to other professional services to improve the engagement and conversion rate of your content. With Apple and Google set to bring ARKit and ARCore, Augmented Reality will be the biggest trend of 2018, thanks to the mushroom growth of mobile users in the past decade. Distinct from Virtual Reality (VR), Augmented Reality refers to the enhancement of one’s physical world while AR displaces the reality with a simulation. The official IKEA AR app offers the experience of digitally trying-out furniture for your home using the internet and a smartphone. As Pokemon Go received $600 million in mobile AR technology, there are no limits to how you can implement the same for a business today. For employees and customers, AR can bring varied goodies. While employees from remote destinations can be trained using AR, customer feedback and engagement spikes with AR apps. It is expected that in the future, users can repair things via a smartphone by pointing the camera at it. You can use the technology to offer your customers to do a trial run of your product with AR. For example, if you own a jewelry shop, create an AR app for customers to try the jewelry before purchase. With critics discussing digital revolution to augmented reality and robot assistants, 2018 is expected to change the face of advertising as we know it. Statistics predict 47% businesses will develop official apps for their business by the end of 2018! Are you ready for the challenging trends of business growth for 2018?